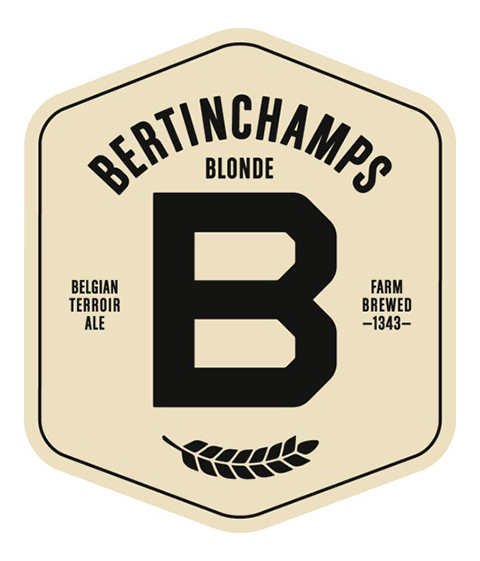 Bertinchamps is a new and ambitious project from master brewer Benoit Humblet (founder of Val-Dieu). In 2011, Benoit acquired a farm in Gembloux, Belgium which dates back to the 14th century. Here he installed a state of the art brewery with the goal to craft ales in the purest Belgian tradition. Applying his talent and experience to the most advanced technology, brewer Humblet crafts all Bertinchamps ales strictly from local barley malt and hops. The water is sourced from a deep well located under the farm. The family is committed to a production process that is environmentally friendly. The steam from the brewing tanks is reused to heat the water, while the brewing dregs and water are sent to a recycling plant to produce electricity via methane. The guiding principles of the brewery take their lead from the Humblet family’s motto: “Authenticity, Responsibility and Generosity”. In just a few years, Bertinchamps has become a point of reference for traditionally styled Belgian craft beer. Bertinchamps is a “Madeleine Wines” selection. A traditional & authentic old style Belgium beer, pure malt and hops, without spices or additives. A floral nose of freshly cut straw, aromas of grilled cereals with a of hint of pepper. Well balanced with a subtle touch of bitterness at the end. The beer’s foam is dense and consistent. A light refreshing beer to be savored. A traditional and authentic “old-style” Belgian triple ale. Strictly brewed with barley malt and hops. Slightly amber in color, it is both smooth and rich, without being unctuous or overly sweet. A mild and refreshing bitterness from the hops balances perfectly with subtle hints of toast, caramel and ginger bread.